Tubular ring base; flat bottom, slightly convex on interior and thickened in middle; thin, flaring lower wall. Annular pontil scar (Diam. 0.008 m). Light to medium greenish yellow (PMS 379C to 7759C), semitransparent. Rare, small to medium spherical bubbles. One fragment preserves entire base and small part of lower wall. 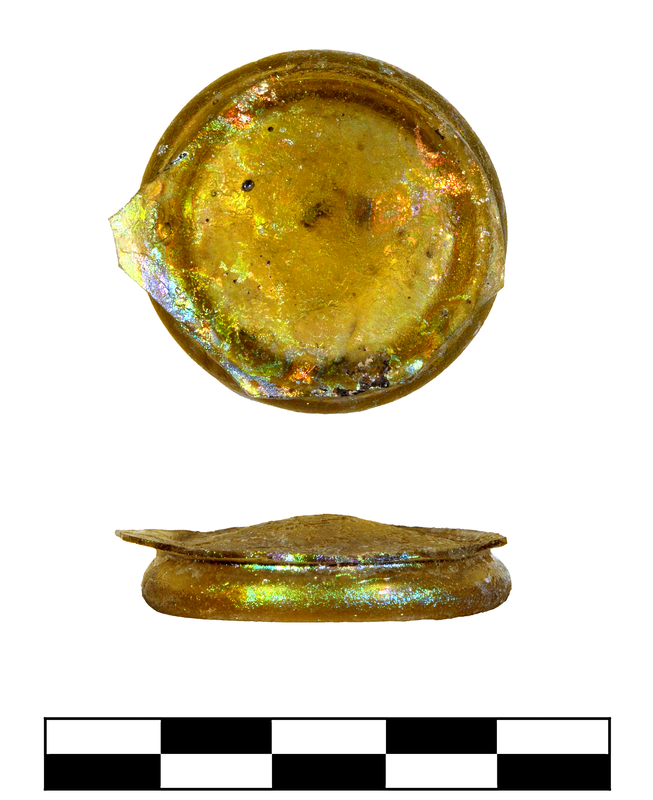 Slight to moderate, extensive iridescence and pitting; patches of milky enamel flaking.